Win print copies of three awesome romance books. Listen to a podcast with Amore to learn more about her and her books. 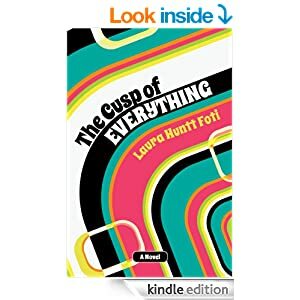 Listen to a podcast with Laura to learn more about her and the usual book. It has it’s own soundtrack that she encourages you to listen to while reading. Two of my favorite authors are Fern Michaels and Nora Roberts. I used to say that I liked print copies, but now that I have a Kindle ebooks are nice also. My favorite romance genre seems to be contemporary but I really like to read any romance that I see. I forgot to say that I usually get my books from what my friends say are good or all the book blogs that I like to check out each day. Love Holli Anderson and Stephen King, Dean Koontz ,Nora Roberts, etc etc etc lol. I prefer to read hard copy books but will read ebooks too . I love Nora Roberts and Andrea Boeshaar. I prefer E books. I find my books by emails,blogs and facebook. I love historical romance and time travel romance books. I don’t have any favorites at the moment & I like both eBooks or paper. James Patterson is my favorite author. Although I read ebooks and print books both, I prefer print books. Most of my recommendations have been coming from online lately…blogs and newsletters that I receive. I like historical romance stories the most.